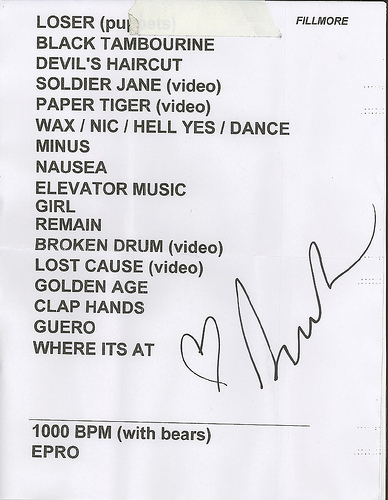 A pretty solid bootleg of this show surfaced in 2014, clarifying some of the setlist confusion. (Some reviews were confused which Hank Williams song, and one claimed "Go It Alone" was played.) 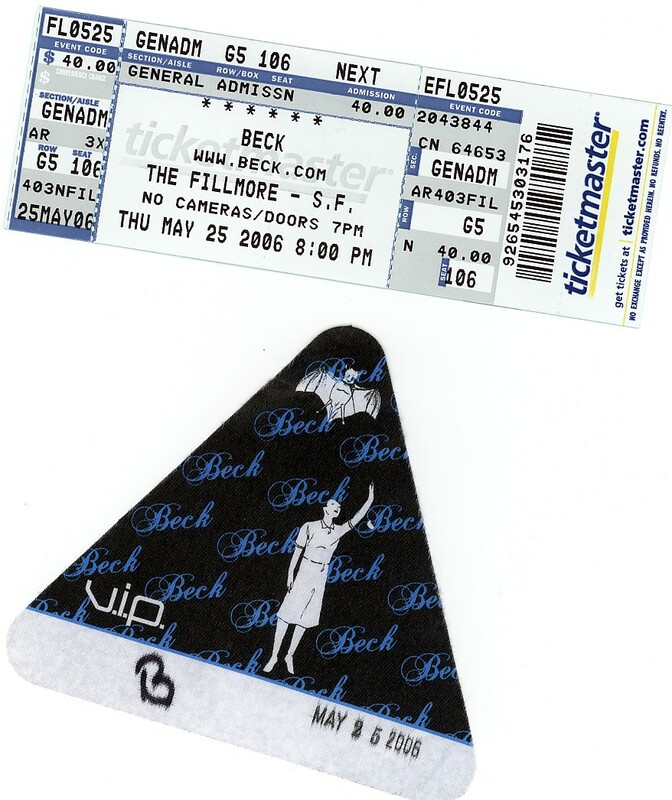 There is a setlist below, but Beck during his solo acoustic part, didn't follow it. The band seems to me to still be finding some of their chemistry, as it was only the second show with the full Wounded Cougar crew. But they do sound good, just not quite at the heights they'd get in short time. Highlights for me were the "Hotwax" medley, "Nausea," the "One Foot" with the dinner table percussion, and all the new Info songs (a surprising 5 of them were performed, not counting "1000BPM"). Sort of the first time "Elevator Music" was played, though an earlier incarnation when it was known as "One, Two" had some stage time. Beck sort of just murmured the opening line of "Satan Gave Me A Taco" in there for some reason. 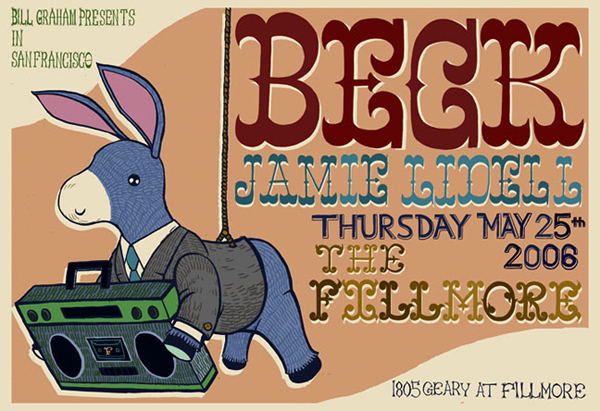 Also to note, the concert poster floating around the web (and is below) has the date listed at 2005 for some reason. 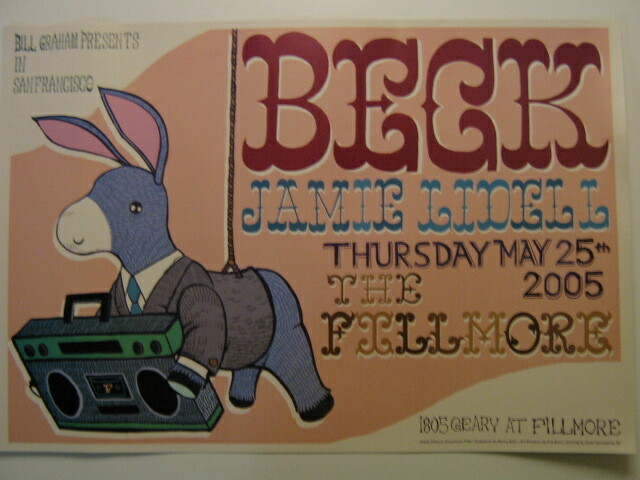 I've also included the same poster with the 2006 date. Not sure the story about why there's an error poster!